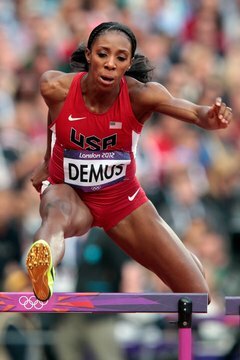 Lashinda Demus of the United States clears a hurdle in the 400 meters. The 400-meter hurdles race makes tremendous demands on your body. A champion like Lashinda Demus performs standing-still exercises with resistance bands and test runs over 30-inch real hurdles to get her hip flexors exceptionally powerful to lift her lead and trailing legs. Cardiovascular conditioning needs to take center stage too, so you won’t tire in the home stretch of what should be an all-out sprint. You’ll need to count backward about nine months from your track season to tune your workout schedule to peak for tryouts, meets and championships. For example, Demus performs hurdles workouts indoors in the fall, with a focus on conditioning. The 2012 U.S. Olympic silver medalist works outdoors on speed in the spring and goes full out in the summer to be ready for World Championships and the Olympics. Your coach will likely set you up similarly with an offseason and preseason programs, with two or more hurdle workouts a week. You can perform back-and-forth 100s in the offseason to get sharp. North Carolina-based hurdles coach Steve McGill advises sprinting 100 meters, resting for 30 seconds, then sprinting back 100 meters. As your conditioning improves, add two hurdles at the 50-meter mark, one facing each way, and late two facing each way. Aim for four sets of six reps, with a three-minute rest between sets. 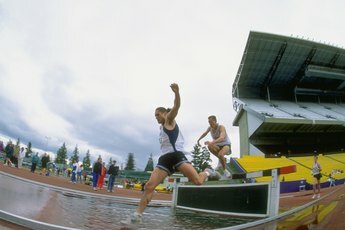 The steeplechase workout provides a variation from boring distance work during preseason, by adding hurdles to a two- to three-mile run. Place four 30-inch hurdles on the track, evenly spaced on the straightaways and the crown of the curves, McGill suggests. 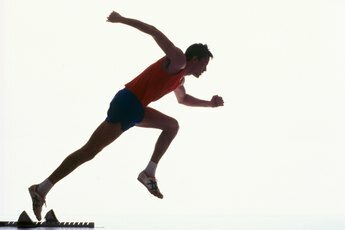 Run your laps with a goal of addressing both cardiovascular strength and good technique on the approaches to the hurdles. For a variation, move two hurdles on the top and bottom of the curve to work on your curve handling. Now it’s time to clear hurdles by the dozens in a big way. In season, perform what are called 200 repeats -- multiple runs over the last five of the 10 hurdles typically set up for the 400. The shuffle-the-deck workout involves going over randomly spaced hurdles set over 100 to 400 meters, to force you to alternate your lead leg. On Mondays, you can perform Iowa-based hurdles coach John Raffensperger’s step-down workout. 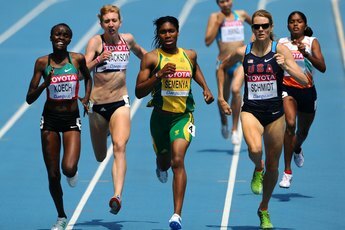 With the hurdles in the 400-meter race positions, run 350, 300, 250 and 200 meters along the course and over the hurdles. The 1-2-3 drill requires you to go over the first hurdle, jog back, run over two hurdles and jog back, and then run over three hurdles, on the straightaway and on the curves. 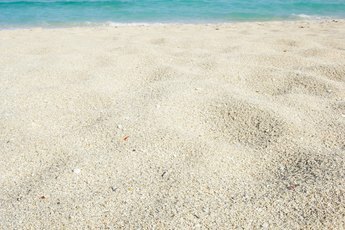 Late in season, cut back on your repetitions of all the workouts to stay fresh for competition.